The great manga comes back! Dragon Ball has won the hearts of many lovers of cute fiction and now old characters are added to Minecraft PE. 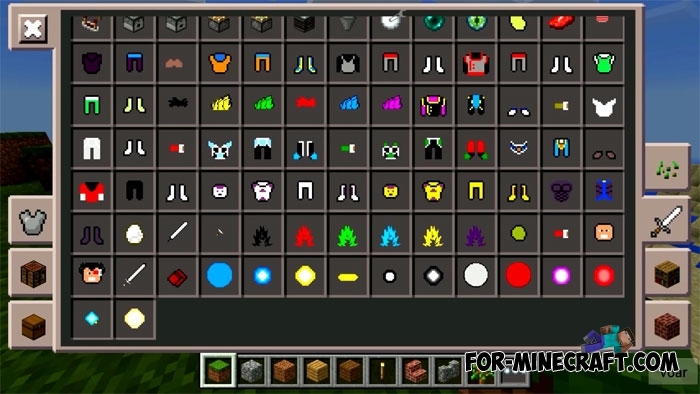 There are more than 15 sets of armor stylized as creatures from Dragon Ball, items and weapons with powerful effects, as well as mobs walking around the world. The mod is designed for those who are well versed in this manga and remember the characters and the plot. Now it's an add-on that simplifies installation and minimizes bugs. New food: biscuit, chocolate and more. 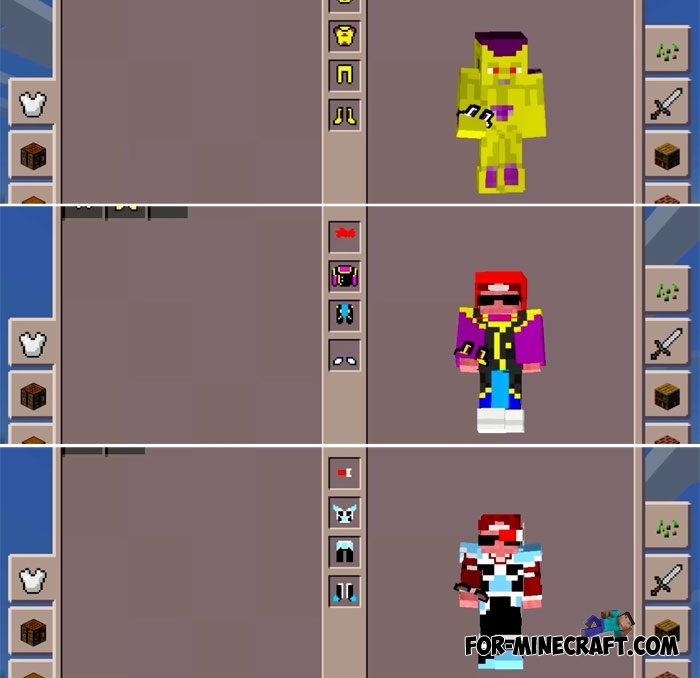 7 new mobs with unique names and icons. Some mobs are tiny, others are giant. New sets of armor and clothing. Weapons with different effects. For example, a fireball causes an explosion (10x10 blcks). Of course, you do not have to search for the coveted object to reach the final goal, although it is also added to the game. Many objects have recipes that are very useful for honest players. Weapons are not so many, but they have super abilities and cause critical damage. In general, the Dragon Ball mod replaces almost 150 items and you immediately see new things that were not there before. Characters appearing in the world can attack you as before, but their parameters have not changed. The rest of the information is in the modification. J'ai pris le code s?curit?